Our fundraiser has ended. Thank you to everyone that supported our scholars! We have some awesome scholarship raffle items this year thanks to the generosity of our Foundation Supporters! Click here to see Raffle Items! 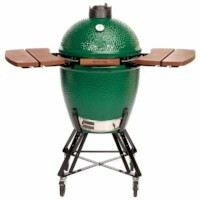 Take a chance at a great opportunity to win one of our great raffle items while supporting a noble cause. Fill out the form below and we will take care of the rest. We can send you an electronic invoice if you wish to pay by credit card. Tickets are only $10.00 or for a greater chance of winning, you can purchase 6 tickets for the awesome price of $50.00! Drawing will be held Monday, October 23, 2017 at 6:30 p.m. at the Golf Tournament. You do not need to be present to win. If applicable, list the name of the person who referred you to this fundraiser. From the Benelli website: SBE 3 – the full redesign of our venerable Super Black Eagle platform. With carefully considered insights from our pro-staff and veteran hunters, Benelli design engineers have spent nearly 10 years in development with a focus on three areas of critical importance to the serious waterfowler: Improved ergonomics, intuitive, flawless functionality and an updated design, style and feel for the latest in modern waterfowling reliability that’s all about the end game: Absolute superiority in the most unforgiving conditions. The Walther PK380 Semi-Automatic Handgun is the perfect compact pistol. This handgun is chambered in .380 Auto and has a 3.66" Barrel. The magazine holds 8 rounds of ammunition and the firearm has fixed sights. 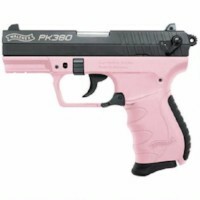 It is a double action/single action pistol, and comes in a black finish with a pink polymer frame.